Hotels in Cuenca, Spain!✅ Are you looking for Hotels in Cuenca, Spain?✅ In Rusticae we exclusively selected the best Hotels in Cuenca, Spain at the best prices. 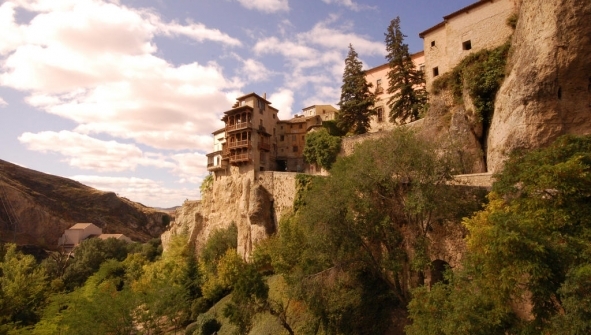 Visit Hotels in Cuenca, Spain, rural country houses or apartments. Enjoy our exclusive offers of Rusticae Hotels in Cuenca, Spain. Cuenca Boutique Hotels selected by Rusticae Cuenca is a mountainous province par excellence, with good road links 2 hours from Madrid, and 5 hours from Barcelona, has bus stations, RENFE and AVE.
Cuenca also offers exquisite dishes like zarajo, serrano gazpacho, morteruelo, ajoarriero or alajú. Tasty and high level gastronomy, with its cozy hotels will help you build a memorable experience!